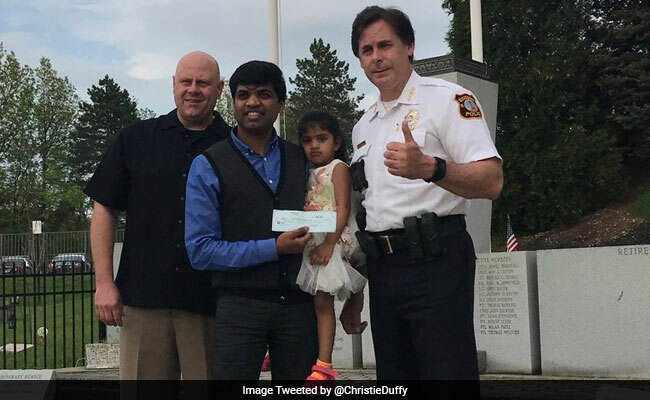 A 34-year-old Indian-American man is being hailed for his courage and rewarded by the police in the US after he saved the life of his woman co-worker from an oncoming train but was robbed of his bag when he jumped on the tracks to help her. Anil Vannavalli, a data administrator, was waiting for his train to work to Manhattan Friday morning when 26-year-old Madhuri Recherla fell on the tracks at the Edison train station, the New York Post reported. The immigrant from India who came to the US 10 years ago, kept his backpack on the train platform and jumped onto the tracks with another commuter to save his co-worker Recherla from an oncoming train. While Vannavalli was doing that, police said a thief stole his backpack containing his laptop computer and headphones, valued at 700 dollars; about 200 dollars in cash, and his work identification card, police said. "How can they do this in this situation? I felt very bad," Vannavalli said. Edison Police later presented a cheque of 1,000 dollars to Vannavalli. Recherla later said she fainted because she did not eat or drink so she could get to the train station on time. She was taken to the hospital with a fractured knee and broken ankle. Vannavalli said it was only a matter of minutes before he and the other commuter could move the woman from the tracks and take her to the tracks, saving her from an oncoming train. The Edison Township Police Department is combing through security cameras to find the thief behind the deed. "This theft, perpetrated in the midst of such a selfless good deed, seems so very disgusting and outrageous," Police Chief Thomas Bryan said in a statement. Vannavalli said he couldn't believe someone would rob him as he was saving another person's life. "We know these things happen off and on but not in this moment. When someone is going to save a life, how can he think about stealing?" Vannavalli said. "You should be ready to help anyone in any situation... it's humanity," he said.